The Florida Department of Health in Escambia County (FDOH-Escambia) is the local health department for Escambia County, Florida. 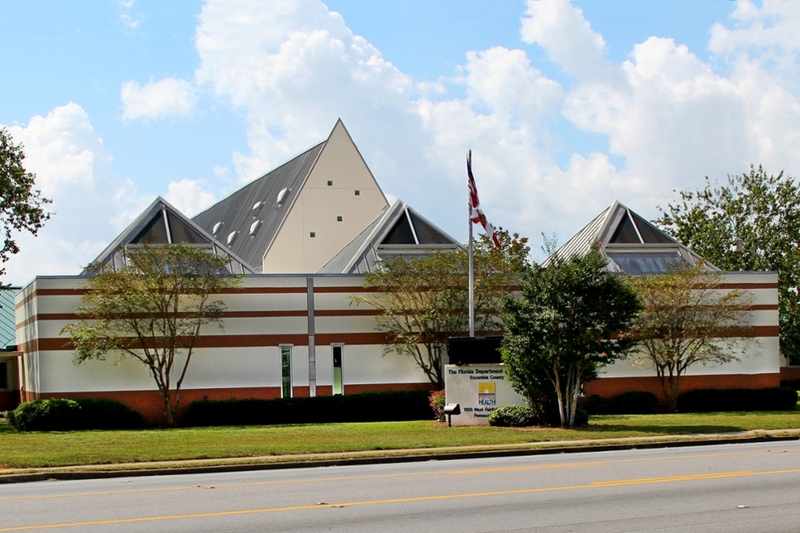 The history of this health department dates to 1821; and, at more than 197 years in continuous operation, FDOH-Escambia is one of the oldest health departments in the world. With our purpose built on the foundations of the CDC's Ten Essential Public Health Services (29.9 KB; PDF), we aim to provide public health services to our citizens and visitors. FDOH-Escambia operates in a highly regulated and political environment. The state legislature determines our programs and funding levels while federal, state, and county regulations affect virtually all aspects of services provided. FDOH-Escambia is part of the first integrated, statewide public health system to be accredited by the Public Health Accreditation Board (PHAB). Through PHAB’s accreditation process, our performance is measured against a set of nationally recognized, practice-focused, and evidence-based standards. The accreditation process seeks to advance quality and performance of our health department by providing a framework to identify performance improvement opportunities. The Escambia Health 2017 Year in Review features program highlights and health information for Escambia County, Florida residents.